It sounds complicated, but it isn't. 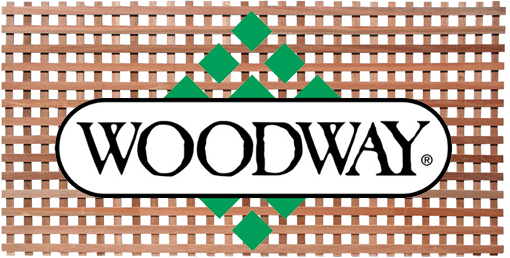 Woodway is the only commercial lattice produced based on the Western Wood Products Association Lath Grading Rules. That just means it's the best cedar lattice there is. We could talk about how Woodway is opposed-angle stapled for maximum wood-holding contact, and that the angle is reversed at alternate lath intersections, or that the staples are glue-coated aluminum because they'll be used outdoors. We could state that fasteners are set flush or slightly countersunk, parallel to the wood grain, and without protruding through the face, to avoid damaging the wood and present a clean appearance. And that panels are also glued along at least 4 joint lines with industrial adhesive to improve panel integrity and strength. 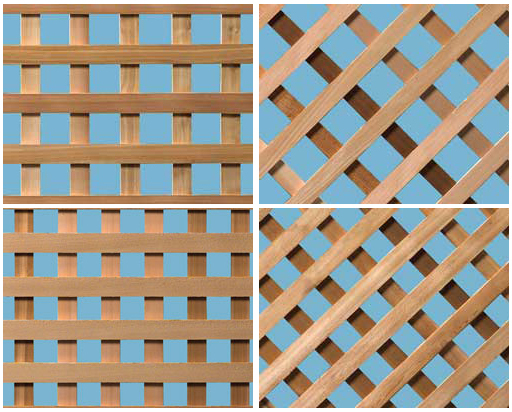 All this means is that Woodway does the right stuff to make a great lattice panel, without cutting corners. 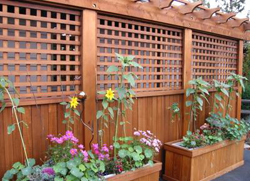 American Lumber stocks cedar and treated lattice in square and diagonal, garden and privacy profiles.